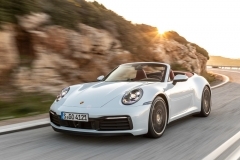 An eye-catching feature on the new 911 Carrera Cabriolet is the unique panel bow convertible top. 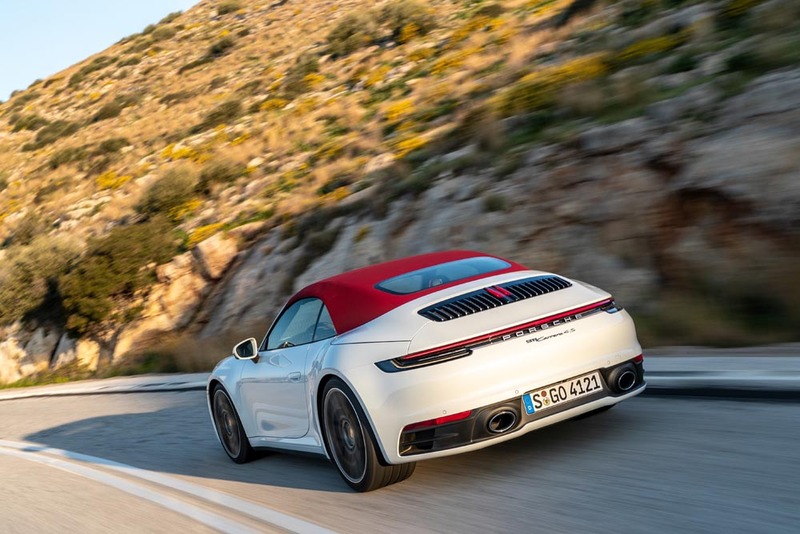 Porsche traditionally places high demands on the conver-tible top of the 911. 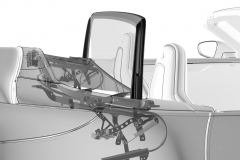 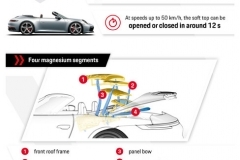 As for all other 911 models in the past, this folding roof is therefore a completely own development. 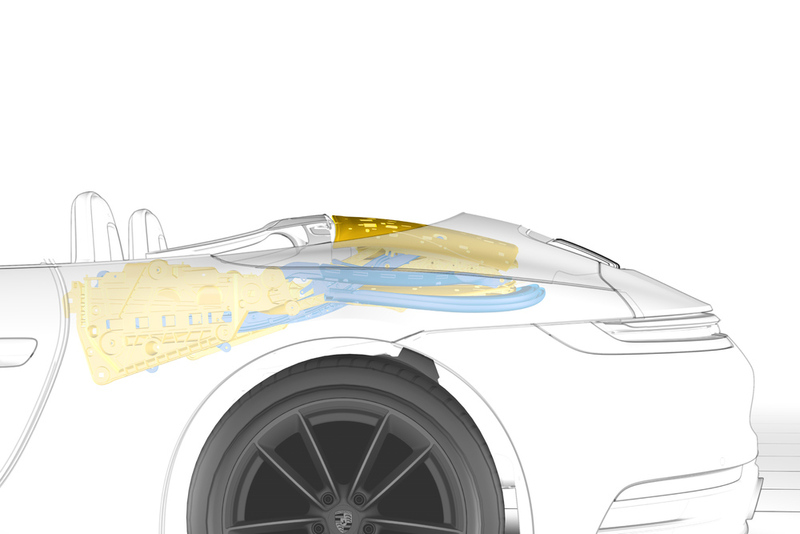 The innovative technology creates a coupé-like curved roof when the soft top is closed. 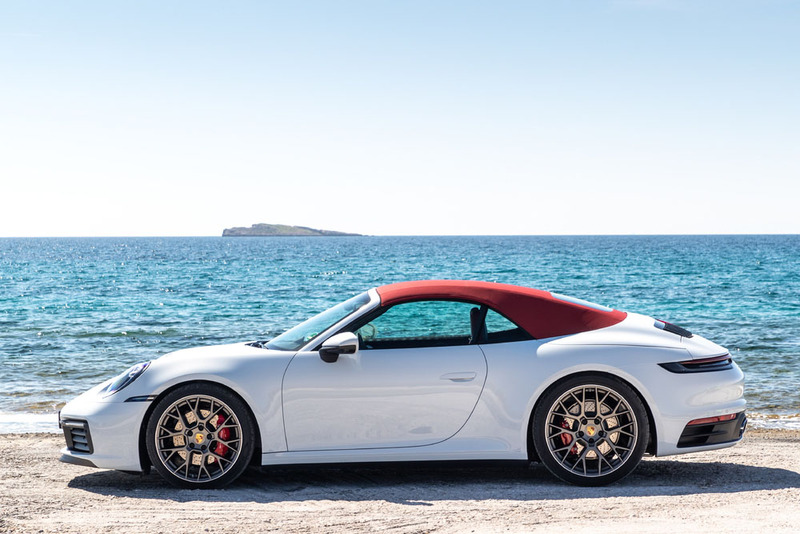 With almost identical contours, the fabric roof elegantly spans the arc from the windscreen frame to the convertible top compartment lid. 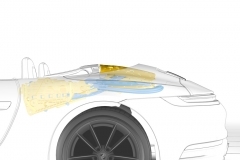 Without any visible bows underneath the fabric or any sections interrupting the flowing design of the classic 911 flyline, the new roof also has advantages when it comes to aerodynamics. 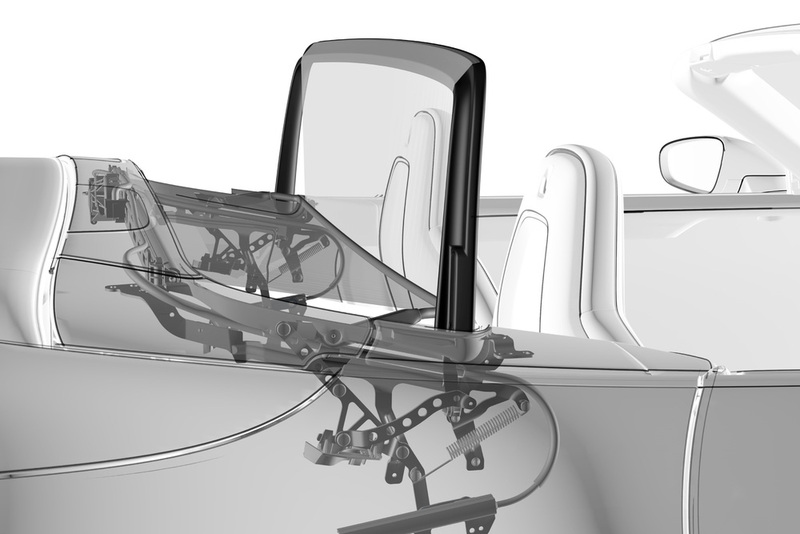 Thanks to the new, lighter hydraulic roof drive, the soft top can be opened or closed in around 12 seconds at speeds up to 50 km/h.